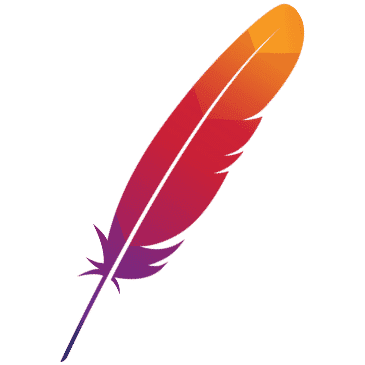 Weex project belongs to Apache Software Foundation and Weex community respects and fulfills the Apache rule, which is Community over code . To make an open and friendly community, Weex community adopt Contributor Covenant as the code of conduct. If it didn't happen on a mailing list, it didn't happen. Subscribing mailing list of weex is necessary to join weex community. In Weex community, feature requests, discussions and decisions happen on the mailing list, which is open to the whole world. dev@weex.incubator.apache.org is the mailing list's address. Developers can subscribe this list to know what is happening in weex community and express his/her idea.If you want to subscribe the mailing list, please send an email to dev-subscribe@weex.incubator.apache.org, shortly afterwards you will receive a confirmation email. Once you reply the confirmation email, the subscription is done. Read Apache mailing list to have a deeper view of mailing list. You ask questions on stackoverflow.com for basic use problems and concepts. You can report a bug through Github Issue as mention in bug report. Formally speaking, StackOverflow is not part of Weex community though developers around the world continually contribute to it. If your question on StackOverflow doesn't get response within 96 hours, you can fire a Github Issue with link to your question on StackOverflow. Only the following types of issues are valid Github issues, for other problem, ask it in the mailing list. StackOverflow questions, which doesn't get response over 96 hours. In Weex community, Documentation is as important as code, and Weex community respects all the contribution of documentation or code. Weex adopts Apache License 2.0 as its open source license. Make sure your contribution obeys the requirement of Apache License 2.0. Documentation with good quality is a great help to developers. If there is a powerful API that is not easy to use, it becomes useless. So, we welcome any contributions to help Weex's documents become precise and easy to read. Click Edit this page on the bottom of website, and you will be navigated to a new Github PR. PR about documentation should be fired based on master branch. You can fix a bug or develop a new feature when contributing code, ref Contribution of Code to see more detail.